The following is an excerpt from an interview with me and my collaborator Nader Hashemi that will be published soon by the excellent online magazine Qantara.de. The interviewer is Emran Feroz, a journalist based in Germany, founder of the Drone Memorial, a virtual memorial for civilian drone strike victims, and author of a book on drone warfare. 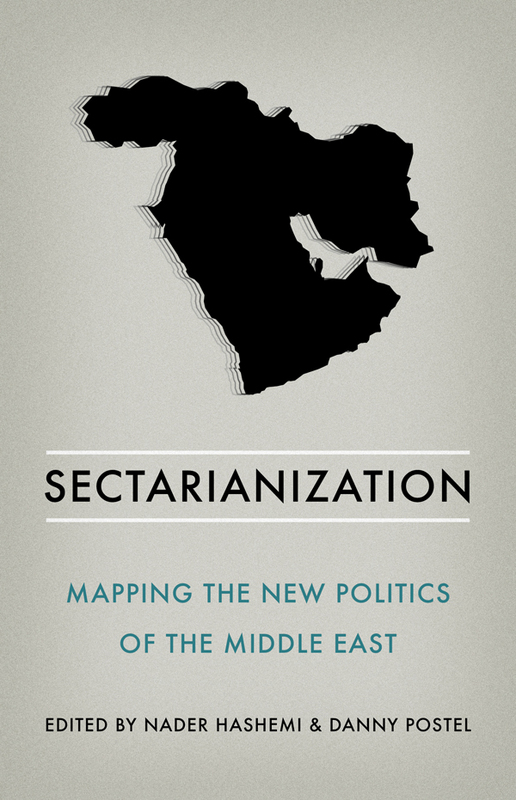 The interview revolves around our recent book Sectarianization: Mapping the New Politics of the Middle East, in which we challenge the new conventional wisdom in Western media and policy circles that attributes the violence engulfing the Middle East today to “ancient hatreds”. We call this sectarian essentialism a new form of Orientalism. In this section of the interview we’re responding to a question about the pervasiveness of this sectarian narrative across the ideological spectrum. Versions of the sectarian narrative can be found on the right, in the center, and on the left. The New York Times columnist and establishment sage Thomas Friedman, for instance, claims that in Yemen today “the main issue is the 7th century struggle over who is the rightful heir to the Prophet Muhammad — Shiites or Sunnis”. Barack Obama asserted that the issues plaguing the Middle East today are “rooted in conflicts that date back millennia”. A more vulgar version of this view prevails among right-wing commentators. The former cable television host Bill O’Reilly has remarked that “the Sunni and Shia want to kill each other. They want to blow each other up. They want to torture each other. They have fun. … This is what Allah tells them to do, and that’s what they do”. This is hardly surprising, given the anti-Muslim prejudice so pervasive on the right. What is surprising is to find people on the left trafficking in the sectarian narrative. Take the case of Patrick Cockburn, the influential Middle East reporter for The Independent. Cockburn has consistently framed the Syrian conflict in sectarian terms — using language like “sectarian blood-letting” and “demons” — and even criticized others for downplaying sectarianism. He did this from very early on, seeing sectarianism as immanent even during the nonviolent popular demonstrations of 2011, which were notably devoid of sectarian slogans and involved Syrians of multiple religious backgrounds/identities. The Syrian conflict became sectarian, but it didn’t start that way and, contra Cockburn, its sectarianization was by no means inevitable. 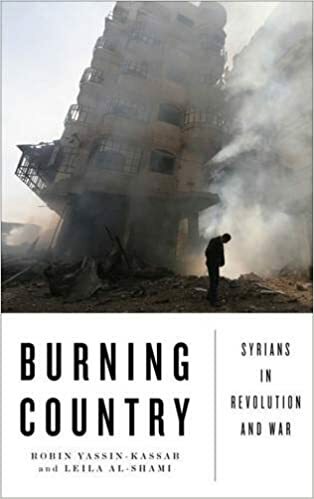 In his chapter in our book, the anthropologist Paulo Gabriel Hilu Pinto demonstrates how the Assad regime pursued a deliberate strategy of sectarianizing the conflict through the use of sectarian pro-regime militias and the “selective distribution of violence” to punish specific sub-groups of protesters; and by releasing various jihadis from Syria’s prisons, to poison the well and produce a “preferred enemy”. But Cockburn sees demography as destiny: in his reading, the Syrian crisis is “intractable” because of the sectarian composition of the society. It’s necessarily a zero-sum game, in his view. Because “power in Syria is distributed along sectarian lines”, he reasons, “democracy in Syria means a loss of power for the Alawites and their allies and a gain for the Sunni”. Democracy is thus a recipe for disaster. There is no alternative, to quote Margaret Thatcher, to dictatorship — at least in the Middle East. Such voices as Patrick Cockburn at The Independent…describe the Syrian war as an armed conflict pitting Sunnis, who make up the majority of Syria’s population, against the Alawites, who back the Assad regime, and their Shiite allies, Iran and Hezbollah. In this telling, Christians and other innocent minorities are under siege, caught in the crossfire and afraid they will be oppressed by a Sunni majority in a post-Assad Syria. This would make Syria just the latest in a long string of Middle Eastern countries riven by intractable sectarian differences that lead to interminable chaos and violence. Cockburn can barely conceal his contempt for Iraq’s Arab Sunnis, whom he often lumps together in a homogeneous category ‘the Sunni’, facing a no less homogeneous ‘the Shia’. Thus, he tells us that ‘the Sunni’ are ‘unlikely to be satisfied’ with regional autonomy and a larger share of jobs and oil revenues, and would not be content with less than a ‘full counterrevolution that aims to take back power over all of Iraq’. One is left wondering how an informed author like Cockburn could attribute the fantasy of an excited fringe of Iraqi Arab Sunnis to a whole community. In an October 2017 BBC Radio 4 programme, Cockburn applied his zero-sum sectarian logic to the case of Bahrain, with strange results. He warned against romanticizing the 2011 Bahraini demonstrations at the Pearl roundabout in Manama, because democratization of the Gulf island kingdom “means that the Shia majority are going to take over from the [ruling] Sunni minority”. The unavoidable implication being that Bahrain’s ruling family had no other option but to crush the popular uprising — which it did with massive brutality and with the aid of Saudi tanks. This is an ugly position, but a particularly bizarre one for a leftist to take. Cockburn then defended his sectarian essentialism explicitly: “To take calls for democratization at face value”, he asserted, “is to underestimate a sectarian content which is there, and was always there”. The only way to characterize this thinking is Orientalist. We might call it an Orientalism of the left, or left Orientalism. One can respond that Patrick Cockburn is but one writer, and that his views — especially on Bahrain — are idiosyncratic and out of step with left opinion. It’s true that Cockburn’s views are somewhat unique, but he wields enormous influence on both sides of the Atlantic and across the political spectrum. Noam Chomsky frequently cites him as an authoritative source on the Middle East. Cockburn’s book The Rise of Islamic State: ISIS and the New Sunni Revolution was an Amazon bestseller for over two years. He briefs Members of Parliament on the Middle East and British foreign policy. The judges of the British Journalism Awards named him Foreign Affairs Journalist of the Year in 2014 and “wondered whether the Government should consider pensioning off the whole of MI6 and hiring Patrick Cockburn instead”. Cockburn’s articles are circulated far and wide on social media, particularly in the leftosphere. He is a frequent guest on Democracy Now! His readers and admirers might be unaware of his Orientalist views on sectarianism. This seems to have flown largely under the radar. But it should be debated out in the open. 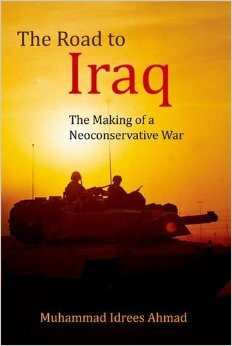 There’s much more to be said on the problems with Cockburn’s “take” on the Middle East, and the phenomenon of Left Orientalism more generally. The brief sketch above is a mere prologue to a longer discussion. Could Orientalism have been written by no one but a Palestinian,with huge ship on his shoulder. Said’s contention,that statements automatically accrue a broader picture of a mythical East ,when for any serious historian concepts such as East or Asia have never contained any useful meaning. Why shouldn’t the other, end in admiration, wonderment, increased self knowledge, a reliativisation and readjustment of one’s own values? We should always question the advisability of too close a relationship between the scholar and the state. It took Said 300 pages,of twisted, obscure, incoherent, diatribe to reach a basic notion,a fundamental change truism.